We love Funko’s Pop! 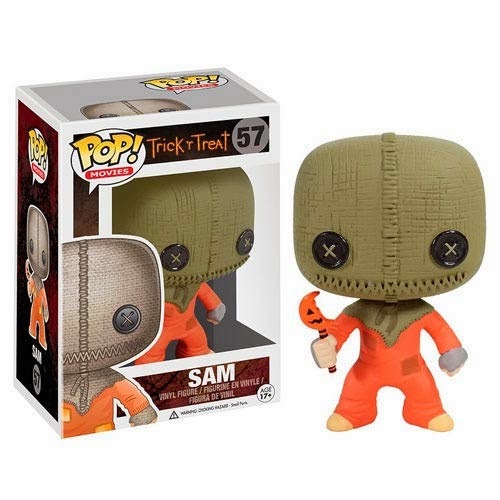 Vinyl line, which already features a killer Michael Myers figure, but as of this month, Trick ‘r Treat‘s Sam and Captain Spaulding of Rob Zombie’s House of 1,000 Corpses are also officially joining the lineup, rounding out the list of must-have Halloween icons. The new figures are just part of huge list of new likenesses arriving this year in the Pop! Vinyl format. Click here to order yours now from Entertainment Earth! Sam Returns in ‘Trick ‘r Treat’ Graphic Novel! Get Your ‘Halloween III’ Silver Shamrock, ‘Trick ‘r Treat’ Magnets!